Are You Serving Your Traditions or Your Mission? Last week, I was privileged to be in the house as a participant in Bishop T.D. 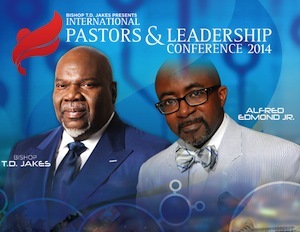 Jakes 2014 Pastors and Leadership Conference in Orlando, Fla., a three-day business and executive development event for church and other faith-based leadership from across the nation and around the globe, for several reasons. First, because I had the honor of participating in the opening discussion panel for the conference, “Branching Out Beyond Church Walls” (also the theme of the gathering) along with Texas State Senator Royce West and Bank of America Merrill Lynch Senior VP Maurice Coleman, to present the new realities of political, financial and digital and social media strategy to attendees. Second, because my participation on the panel took place on March 6, two days after my 27th anniversary of joining Black Enterprise and two days before my 54th birthday. On that date, I could say that I’d literally spent half my entire life at Black Enterprise, and a T.D. Jakes leadership conference seemed the perfect place for me to be on that morning. 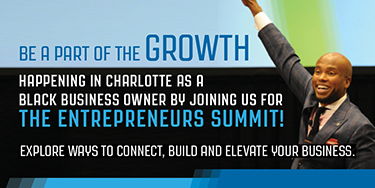 Finally, and most important: While I was invited to challenge the leadership in attendance, I left inspired to shift my own thinking as a leader, particularly as the Pastors and Leadership Conference was my first public appearance on behalf of Black Enterprise since being named chief content officer less than two months ago. Jakes’ challenge to faith leaders can be applied to almost any industry going through rapid and disruptive transformation, perhaps especially the media business. At Black Enterprise we continue to balance our need to honor the four-decades-plus legacy of our iconic magazine with the reality that most of the traditions of that legacy are irrelevant in an age when impressions, engagement and measurable influence–in a word, effectiveness, not just exposure–rule the day. There are still many of us in the media business who find it difficult to accept that merely serving our known audience (magazine subscribers) is no longer enough to ensure our relevance, if not our survival. We must attract, serve and engage a larger unknown audience as well, people who may never subscribe to Black Enterprise (or any other) magazine, although they desperately need and passionately believe in the Black Enterprise mission. That means going “beyond the church walls,” beyond our magazine, to meet and deliver our content (minister) to them where they are, in the languages they understand, instead of requiring them to get what they need in ways and with the words that are our tradition, but not theirs. For me, as a leader in media, Jakes presents two options: Focus on preservation or growth; be a caretaker or a teacher; guard a cemetery or tend a garden; honor and bury the dead or sow seeds of growth and life. 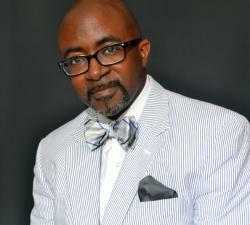 Black Enterprise can be time-honored and bound by the traditions of previous generations. Or it can–it must–be a relevant and effective force for those who need Black Enterprise today. In the choice between tradition and mission, I choose the mission. To do otherwise would dishonor our legacy. And in so doing, though we remain ever committed to Black Enterprise’s original mission and message of wealth building and economic advancement, we must deliver it in the language of the world, unfettered by our own traditions, without being blinded, and thus rendered ineffective, by our shining legacy.